We specialise in the supply and installation of premium aluminium bifold doors, sliding doors, roof lights & windows. We offer a full survey and installation service to guarantee the best fit. Here at Value Doors UK, we manufacture and install high-quality uPVC and composite doors and uPVC windows that are available at great prices. Our door installers are placed all around the UK, so that you can receive the personalised service of a local business, combined with the security that a national company offers. We pride ourselves on providing a first-class, industry-leading service that offers clear and easy ordering and is exceptional value for money. We differ from other external door companies as we advertise all of our fully fitted door prices online with no hidden costs, which means that we will never send pushy and intimidating salesmen into your home, only our professional installers. Our products range from popular composite and uPVC doors, to doors that look great opening up onto a garden or patio such as bifold, French and patio doors. The other products that we manufacture and install include stable doors, steel doors, Rockdoors, fire doors, electric garage doors and uPVC windows. So, no matter what your external door or window needs are, the nation’s favourite door company is here to help! Family run business specialising in Bespoke, Made-to-Measure Timber doors & gates. With over 30 years combined knowledge in the door industry, we supply doors nationally across the UK. We accommodate one of Yorkshire's largest showroom, with the factory in the same building. From traditional, to modern, solid, glazed, even Fire Doors - we have doors to provide the closing touch to your home, all at factory prices! TRADE suppliers of high quality furniture components, fully assembled sliding wardrobe doors, interior systems and a range of kitchens to the TRADE. The Longden range of hardwood door sets combines the highest quality of traditional craftsmanship with the performance levels needed to meet today's technical criteria. Why would you need Leeds, West Yorkshire door manufacturers for your home renovation? Front doors and external doors can act as personality stamps on the front of your house, especially if you live in a Victorian terrace, residential estate or block of flats, so you may want to invest some care and attention into how your door looks. Internal doors are also prominent features in any home (unless you believe in open-plan throughout), so if you’re planning a redesign or renovation, you might want to take a look at the colour and style of your doors to see if they will complement or clash with your new interior decor. 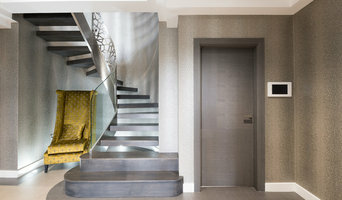 If looking at all the different styles, materials, types and sizes of doors makes you feel like you’re lost in a labyrinth of locked doors, then don’t despair; Leeds, West Yorkshire door manufacturers and door suppliers are available on Houzz to help design, build and install all sorts of doors. You can find photos of their previous work, reviews, recommendations and ratings from clients, and contact information so you can speak directly to any Leeds door makers you find that you think can help with your project. You might find that your door suppliers or manufacturers can help with your window frames, garage doors or other contractor work, or they may be able to put you in touch with other professionals they work with regularly. Here are some related professionals and vendors to complement the work of doors: Cladding & Exterior Contractors, Garage Doors, Home Builders, Design & Build, Artists & Artisans. For external doors, it’s usually advisable to go for something durable and insulated. Composite door manufacturers in Leeds, West Yorkshire will make doors from a number of materials, usually wood inside and a more protective outer layer, so they are versatile and well suited to being used as back or front doors. You can choose from stable doors, panel doors, half-glazed doors or doors with intricate stained glass panels, in all sorts of colours and stains, and, if well-fitted, your composite door will still stand up to any weather. It’s always advisable to talk to your local Leeds, West Yorkshire door suppliers about the different materials, styles and types of doors on offer so they can tell you in more detail the advantages and suitability of all the doors you’re looking at. Door manufacturers can help with more than just your front door and internal doors - if you have a garden, there are a number of options for accessing it. 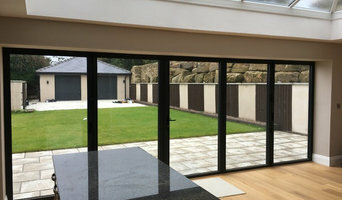 Large glass doors can be really dramatic and bi-fold doors are a popular choice at the moment because they can completely disappear and open up a room to the outside. If you don’t quite have the budget to install bifold doors, patio doors or french doors can still bring in lots of light from your garden into your home. Talk to Leeds, West Yorkshire door makers about what they think could work for your home renovation project. 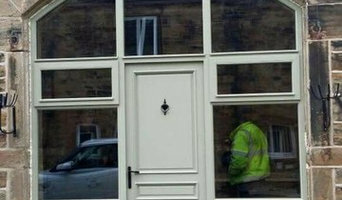 Why should I hire Leeds, West Yorkshire door manufacturers or specialists? Find door suppliers and makers on Houzz. Look in the Professionals section of our website and search for Leeds, West Yorkshire door manufacturers and suppliers. Read reviews, look at project photos and see how a door professional can help your Leeds, West Yorkshire home improvement project.